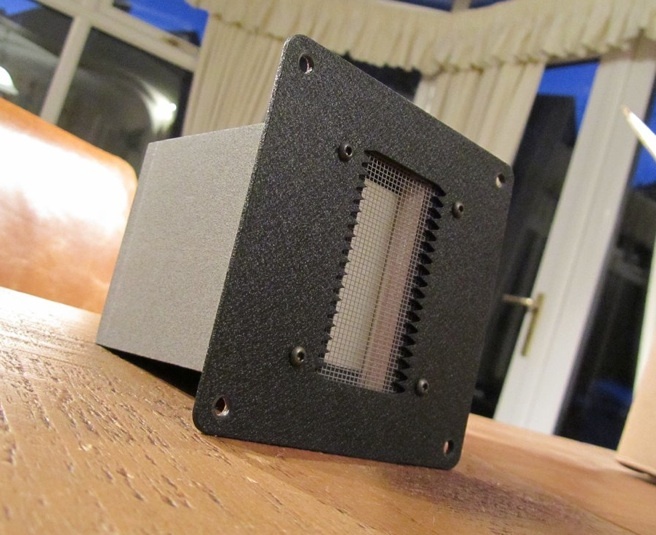 The current speaker is actually my first DIY effort and even though I called it DIY it was pretty much designed by my friend Alex, I had no contribution to the design of the physical speaker except the crossover design. 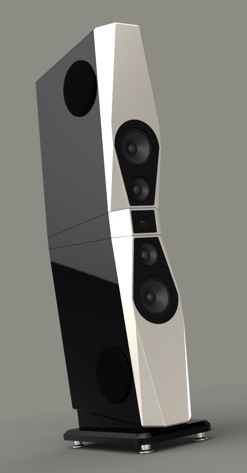 It has been almost 10 years since I have this speaker and things have improved a lot with the additional of aluminum face plate; the change of tweeter, mid and woofer; the use of linear crossover…..
10 years has also given me enough time to learn more about audio on various aspects and also on speaker design. 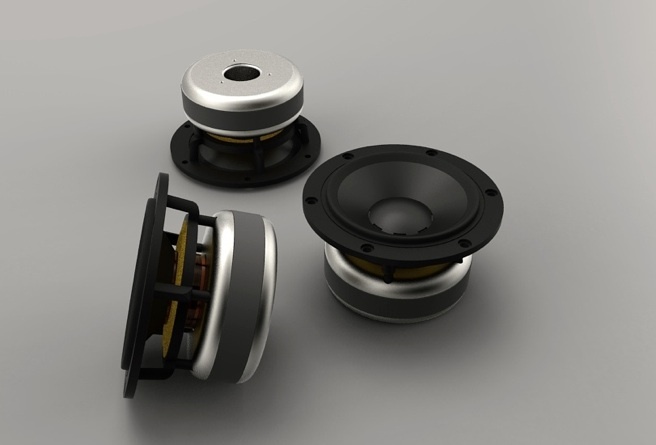 Places like Diyaudio.com is a wonderful forum where I can gather enormous amount of information and there are actually many excellent speaker design engineers hanging around there too! One of the most popular thread on the forum was the construction diary of LGT by Shinowian. Even since the start of his thread, I have been following it up closely, learning from his experience. Like many forum members around the world, I am amazed by his unique, beautiful and yet simple aesthetic speaker design. His execution of cabinet construction is flawless and his meticulous attention to details will certainly make his production exceptional. (I know because I am that kind of person and I perform excellent surgical operation as well). 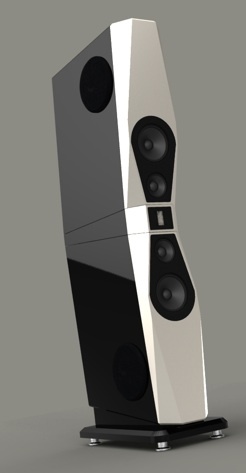 Recently, Shin has made a decision to set up his own speaker company. So, naturally, I approached him to see if there is any possibilities for being one of his first customers! That’s how this got started. Let’s get back to my speaker. Firstly, what do I not like about my current speaker? The look! The veneer is good, the finishing is also good. But the overall presentation is one of typical Chinese made speaker. No wonder the original designer has a difficult time selling his commercial products! The second area that I think I can improve is lobing behavior. My current speaker has the tweeter and the mid quite widely separated. 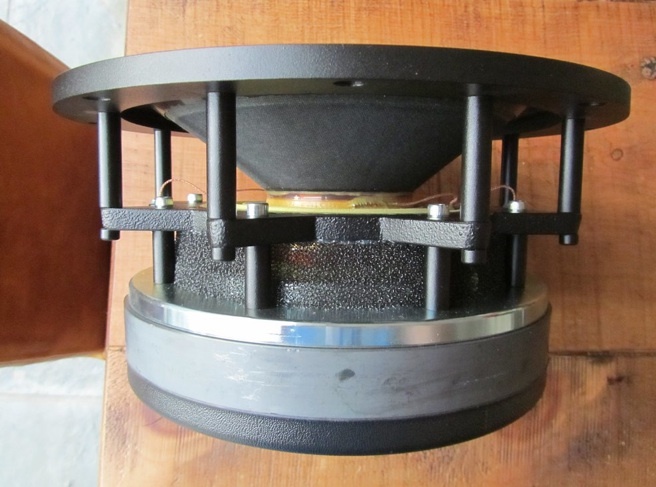 The center of of the tweeter and mid is about 20cm. 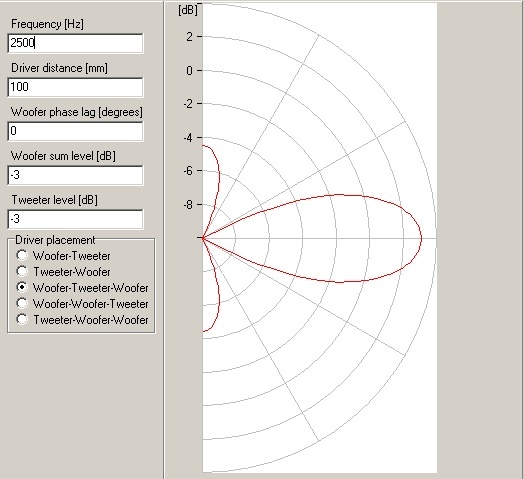 The following graph is the simulation of vertical lobing with 4000Hz crossover. So, the first design goal to reduce the effect of vertical lobing is to go for MTM design. If that is the case, than I have a chance to go for something on par with Rockport Arrakis and Kharma Exquisite. So for my new speaker, I will go all the way for SWMTMWS! 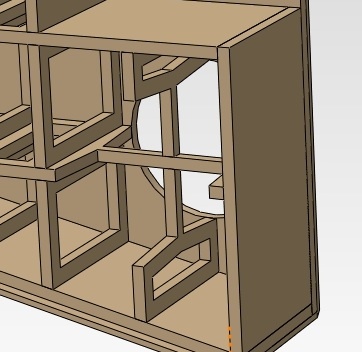 The third problem that I want to deal with the current speaker design is cabinet edge diffraction problem. Alex originally designed to use Raven 2.0 as the tweeter which is a reasonable tweeter by all means. However, it lacks in dynamics and while it does not sound harsh, it doesn’t give the dynamics that I like. The original design also has the faceplate too close to the cabinet edge and causes significant diffraction problem. Raven also has a wrong tonal balance and Alex “tried” to fix the problem by loading it with a horn faceplate. However, compared to RAAL, Raven still sounds wimpy in the low end. Alex moved on to use Mundorf AMT transducer which sounds better than Raven. But still, while it is dynamic, it is less refined and less balanced when compared to RAAL. Compared to RAAL, Mundorf sounds harsh. RAAL belongs to a different league, there is no comparison, I am sorry. So, for my new speaker, I will stick to RAAL. 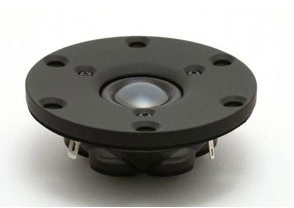 Scanspeak Illuminator D3004/6640-00 1″ Tweeter Beryllium Dome did come to our minds as this will allow even shorter distance between the MTM. But I am too impressed with the dynamics offered by RAAL and since I use active digital XO, I can easily burn the ribbon which requires a fairly easy ribbon replacement. I do not want to burn by dome tweeter though! With RAAL in mind, in order to reduce the distance between the MTM, Shin suggested to change to RAAL 70-20XR instead of 140-15D. There are several advantages of 70-20 over 140-15. 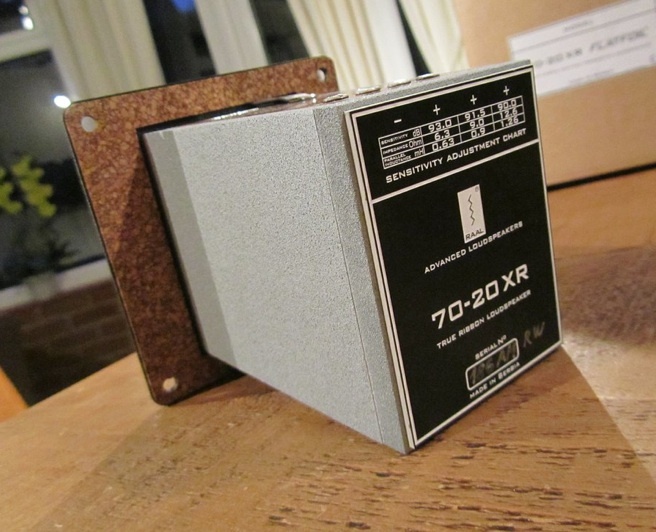 Firstly, 70-20XR is much shorter, allowing better lobbing performance. Secondly, because it is now acting like a point source rather than a line source, there is no need to use foam pad. Thirdly, the width of the ribbon also improves the horizontal dispersion. 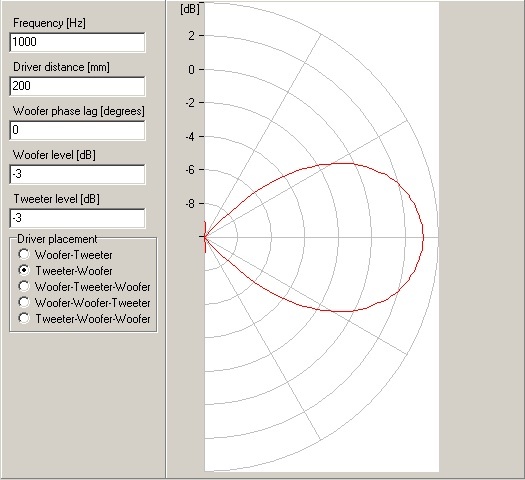 There will also be chamfering at the edge of the tweeter to reduce diffraction effect. Ideally, this chamfering should be more round and Shin has actually created a rendering for his Aurora. But I still prefer the more straight line approach. But, there is always good to have a fallback option. 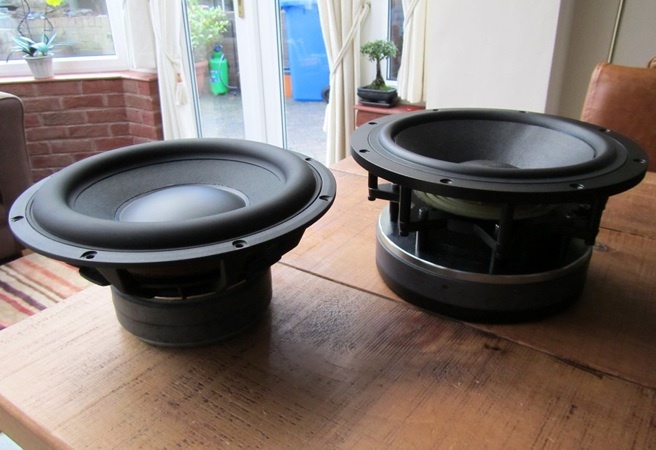 So, 2 tweeter baffles will be created and I can fit in the one I like later. Shin is kind enough to build me an extra baffle to fit the SS D3004 with just a little bit of extra. This way, I can have either option up my sleeves! The choice of mid woofer is fairly easy. 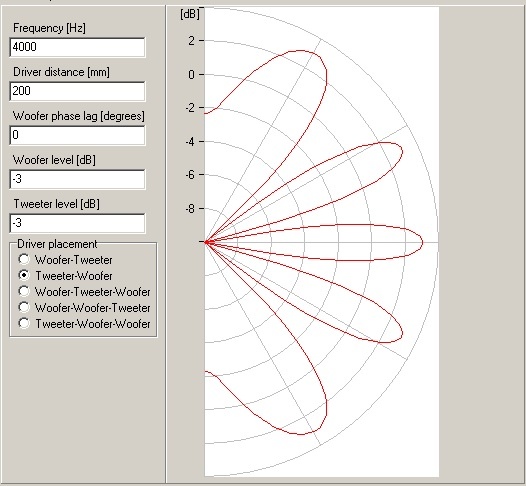 My current speaker is using Audiotechnology driver and I certainly like the density and dynamics from Per’s drivers. Alex decided before that a 18cm C-quenze was a better choice. 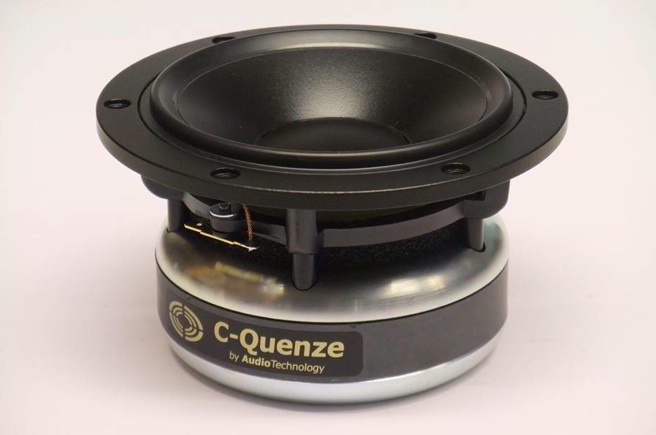 But since I have a 8” woofer, I think 15cm C-quenze should have been a better option. If you read my previous blog, you know that I have changed by standard C-quenze to the one with an underhung motor, SD system and a lower Rdc. This has certainly proved more dynamics and the music is more alive. My new 15cm C-Quenze will also be custom made to my spec with similar features. Per has also made a special design to this magnet housing to avoid compression. Again, the back of the driver will also have proper chamfering to avoid compression. Something that is also lacking my current design. The exact model of the driver to be used will be 15H 52 06 13 SDKAM to be used in 5L selaed box. 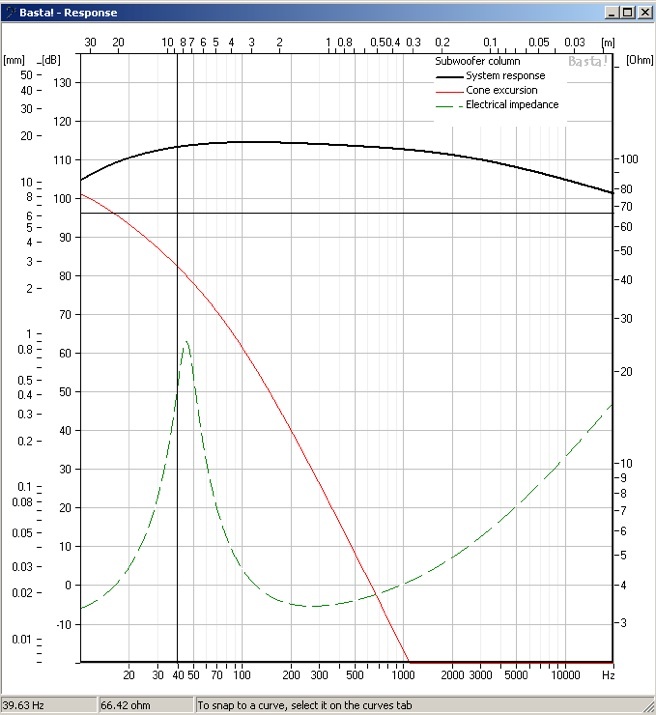 If we use the 8I 52 20 08 SDKA then we have a nice Q of 0.54 in 19ltrs which closely matches that of the 10″ in 43ltrs. This is going to be a real huge addition to my existing design. We are going to use 4 pcs of 10 inch sandwich cone to cover the this very low bass region . I have decided to use 45L per driver in a sealed box arrangement. The choice of 80Hz is specific so that when I set up my home theatre, I can easily route my LFE to these subwoofers. In other to driver everything in parallel, I have to ask Per to tailor made these drivers so that each will have 11.9Ohm Rdc. 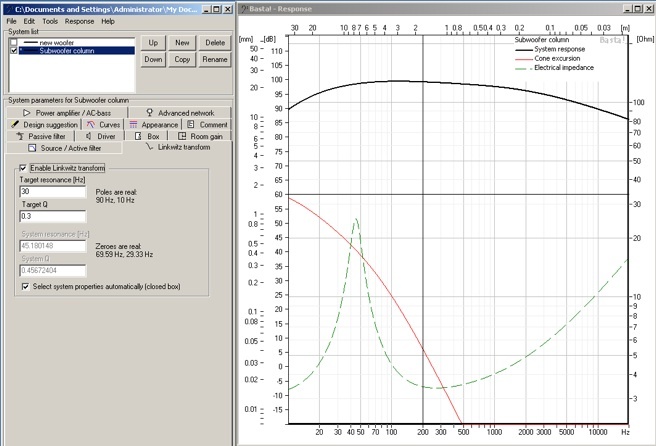 Using simulation, here is the frequency response curve with 4 drivers driven in parallels on one side. 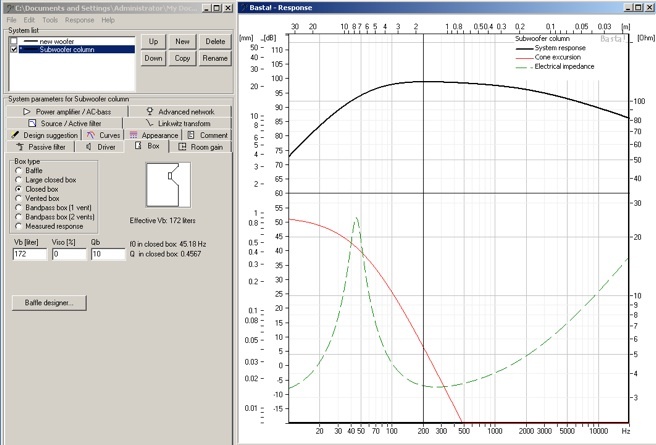 From this, we can see that the system can reach and SPL of 92dB at 15 Hz with just 2.83V! 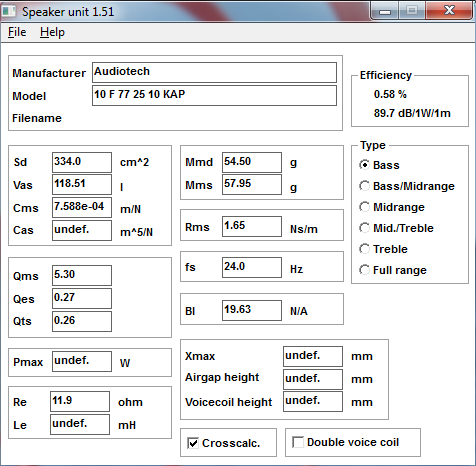 At 16V, I can reach an SPL of 105dB at 15Hz! Scary Bass! 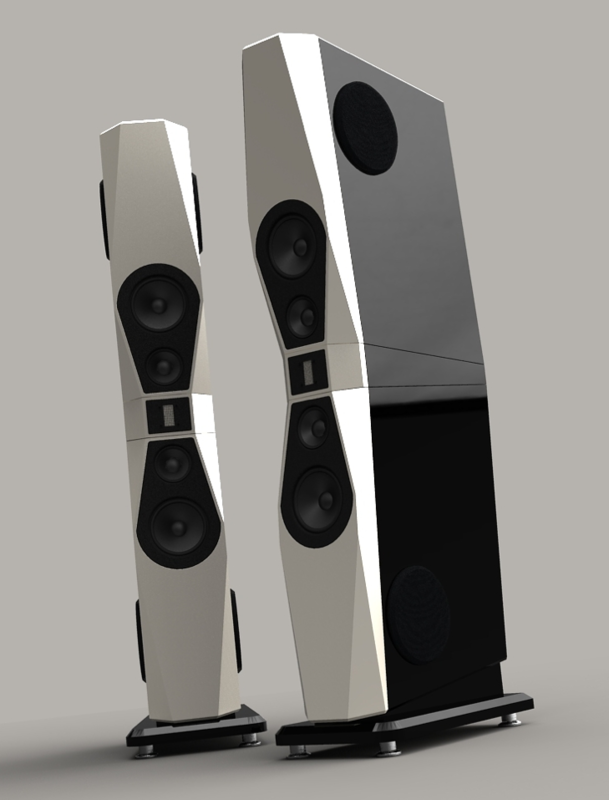 Speaking about the design of subwoofer, I can clone Rockport Arrakis and use 15” Flexunits x 2. But we decided to use 4 pcs 10” for 2 reasons. One is that I can only get sandwich cone with 10” and 12” Flexunits. Certainly, I can go for 4 pcs of 12” but even me would consider this way over the top! The second reason is that by using 2 pairs, I can create a coupling pair to cancel the vibration. This technique is also used by KEF Blade. In Shin’s design, we shall avoid gluing the 2 drivers together. If I need to remove one of the drivers, that would be a mess! 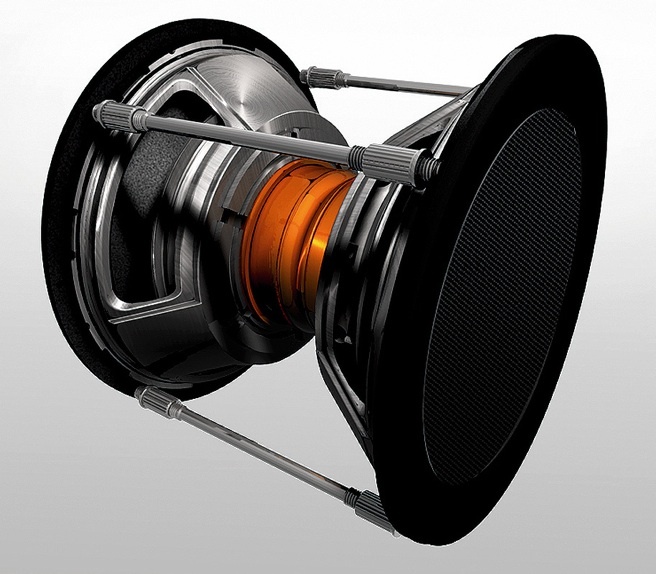 Instead, the drivers are tide together with rods and screws pretty much the same as in KEF. But the 2 drivers will be force against the baffle which is part of the cabinet construction. This way, even though we do not have Corian for the side wall of the cabinet, we can still have excellent resonance control for the subwoofer. 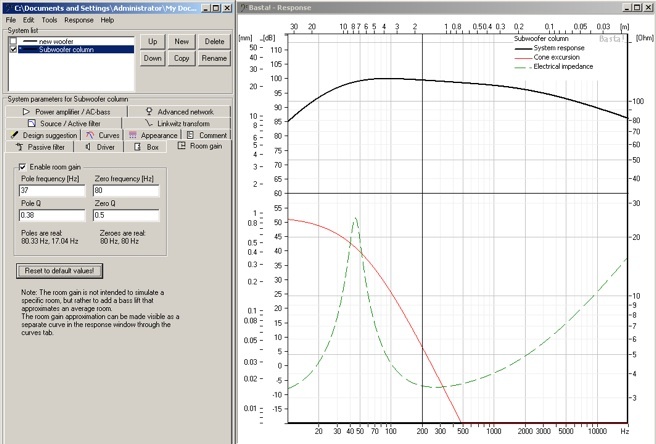 The 3rd advantage of using so many drivers instead of 2 x 15” is that I have better chance of achieve more even response as the subs are firing at all different directions. 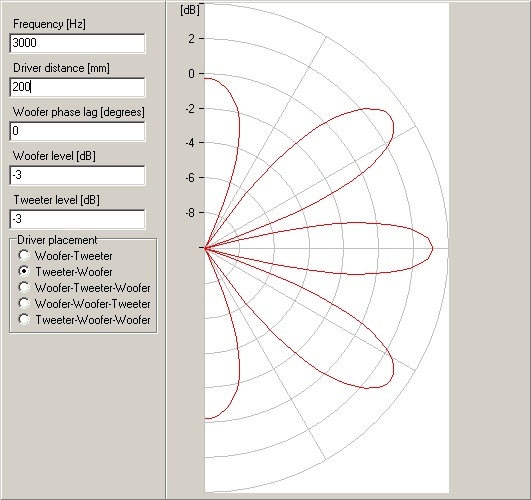 On one hand you have the 2way MTM which increases SPL capability and hence lower distortion at any given level vs a straight TM layout but its down side is that the if the distance between midranges is greater than wavelength of the crossover frequency or there is significant output past the crossover such as when using shallow slopes then you begin to see lobes appearing in the vertical off axis response and these manifest in the sound as a less believable soundstage as the power response of the speakers is no longer even. The .5 way option allows to harness some of the upsides of the MTM but without the problems relating to off axis lobes. Its not as effective at reducing distortion however because the 2nd midrange driver in the MTM is only working partially up to the crossover point of the 1st midrange driver but this is why it doesn’t create lobing issues as the wavelength where the 2nd midrange cuts out will be significantly longer to the point where the MTM spacing isn’t a factor. I suspect that in this case, because we’ve greatly reduced the MTM spacing compared to that of the LGT, a 4 way will work very well with only minor lobing in the vertical axis that shouldn’t be considered a problem. 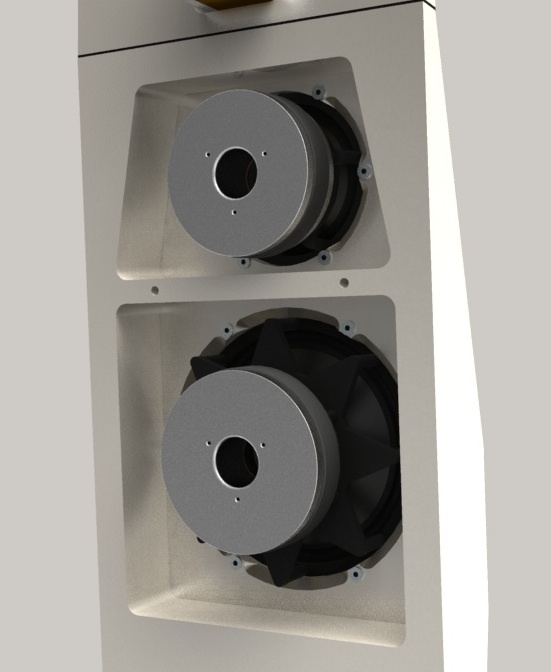 However it is always better to have options and so allowing for 4.5way is very sensible and will allow you to completely explore the loudspeakers capabilities and tune its output to what works best with your ears and your room.